PARIS (Reuters) - Renault and Nissan must streamline decision-making in the car-making alliance and boosting the companies' cross-shareholding is not currently in their plans, Renault's chairman said in comments published on Sunday. Japan's Nissan Motor and France's Renault, together with junior ally Mitsubishi Motors, agreed last week that they would retool the alliance to put themselves on a more equal footing. 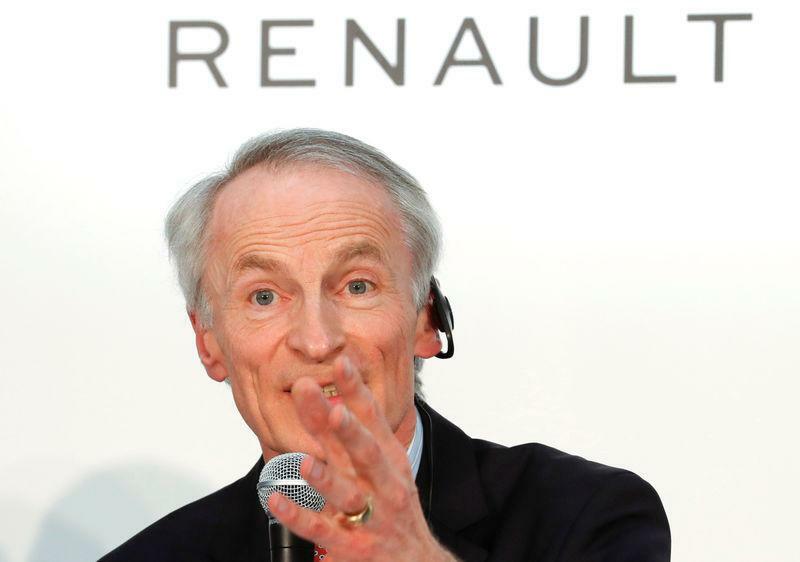 "I've concluded that we need to considerably simplify our decision processes in the alliance," Renault chairman Jean-Dominique Senard said in an interview published on Le Figaro's website. "I want it to be tight and made up of those people who have power to take decisions in each company," he added. The removal of Carlos Ghosn, credited with rescuing Nissan from near-bankruptcy in 1999, from the head of the alliance has raised a cloud of uncertainty about its future. "The teams around me are not mobilized on this subject," he said. "The only merger I'm working on is that of our cultures.